The Petzl Cordex Glove is a hardwearing and protective glove for use during belaying or rappelling. Lightweight and tailored for ultimate flexibility, the Petzl Cordex Glove is reinforced with double-layered leather on the palms, fingertips and between the thumb and index finger to provide durability and protection for your hands. 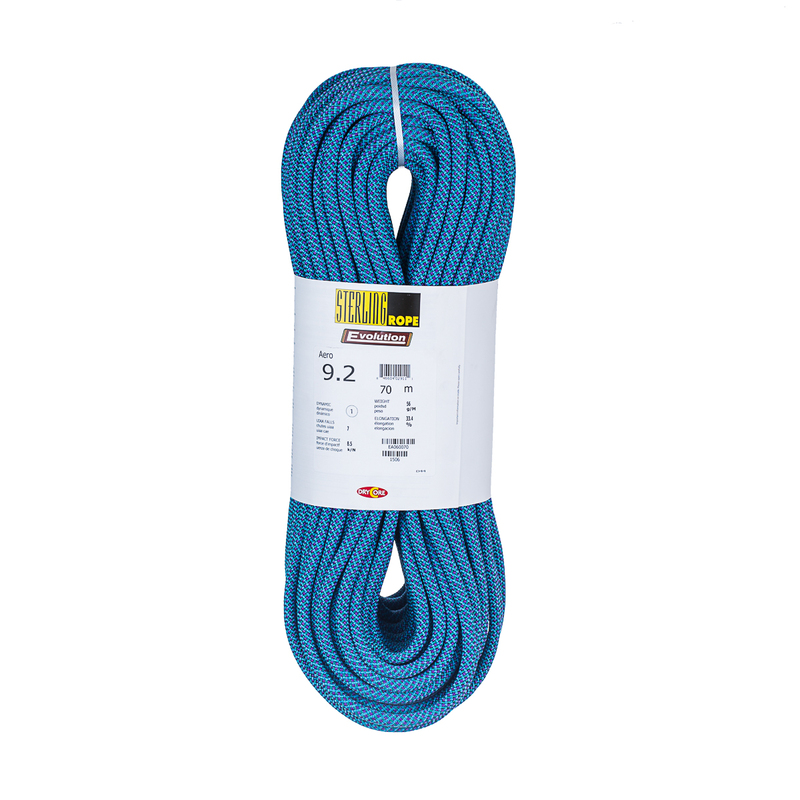 Fast and light as a feather, the Sterling Aero is a skinny 9.2mm rope with smooth handling. The Aero balances a durable, tough sheath with a new lighter weight core construction. The result is a sending rope with softer handling. Ideal for sport climbing, mixed climbing and ice climbing. "The all new, Evolution Aero 9.2 will forever be my go-to rope. It is a perfect size, super high-performance, and gives me all of the in-betweens of what I need. It is a tough rope, designed to be even tougher than the old Nano. It’s secret is in the totally new construction. The new weave and core design has added life and longevity to this awesome rope, and already in a month of use, I haven’t cut it once. I dog on this thing, shoot video, bolt routes, and share it with friends. ", Joe Kinder.